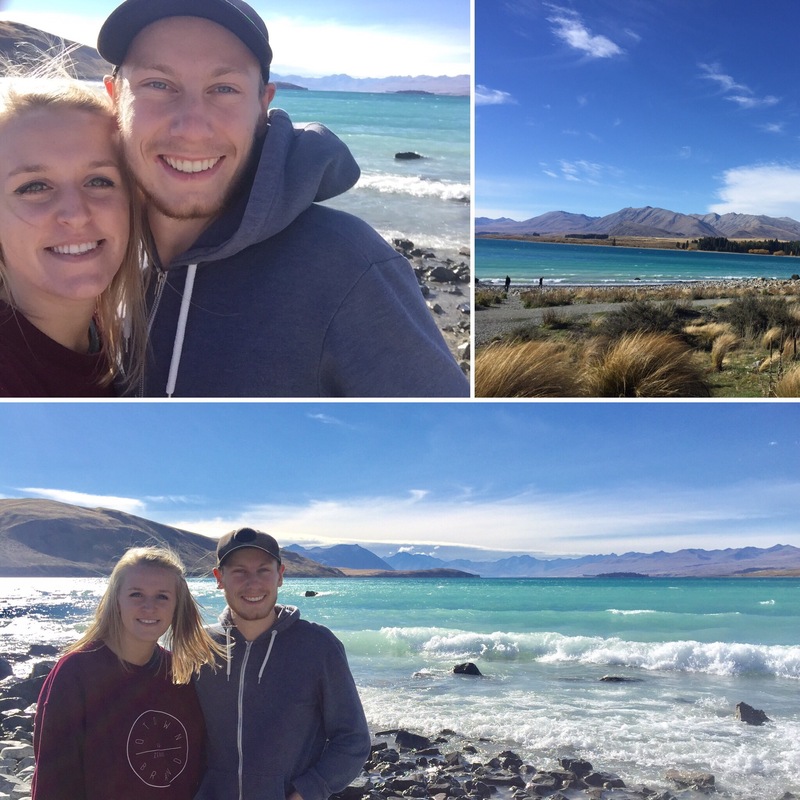 On the 28th April 2017, we left Mount Cook to head back to Twizel where we would wait for our kiwi bus to pick us up and take us to Lake Tekapo; our penultimate stop on the Kiwi Experience. 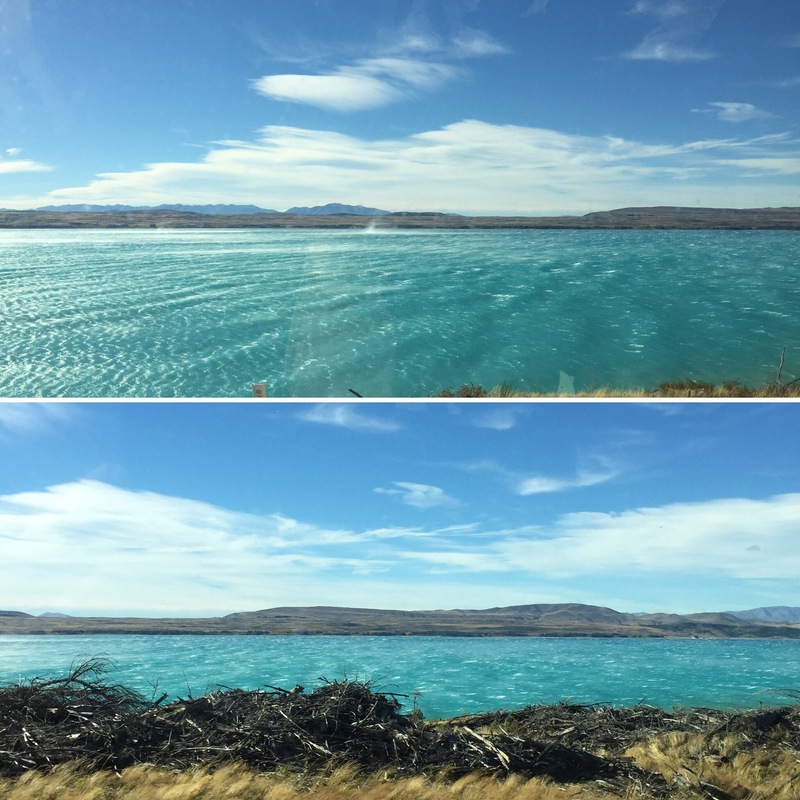 On the way we drove alongside Lake Pukaki which was a beautiful turquoise colour due to the clear blue, sunny sky we had that day. 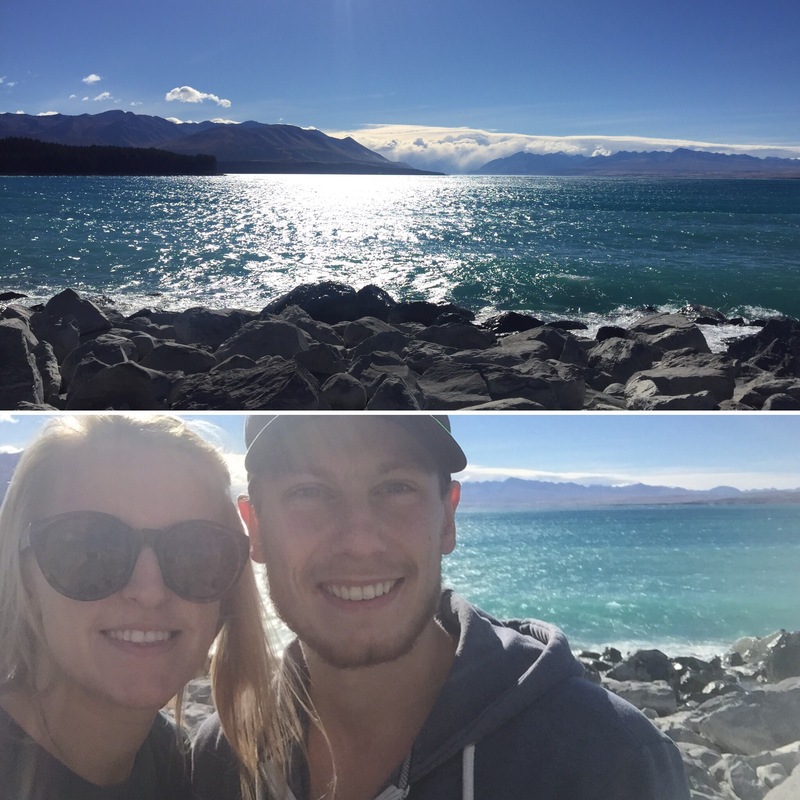 The lake was really long so it was alongside us pretty much the whole way to Twizel which was so nice. The wind had made the lake really choppy and there were clouds of mist from the water being blown up that could be seen even from the bus. 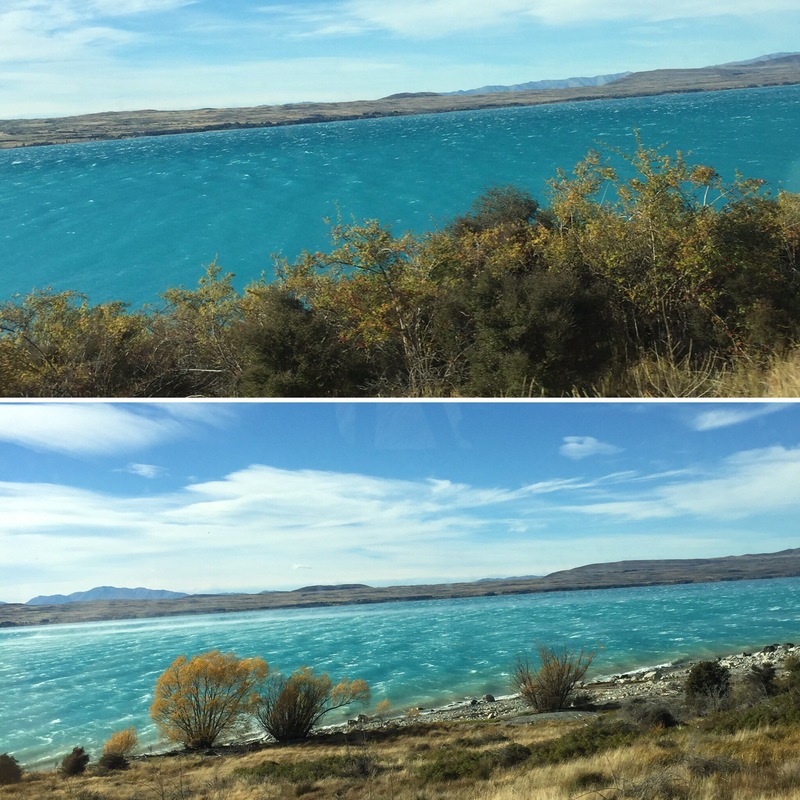 It was a 45 minute journey back to Twizel and the road we had to drive down became a sort of wind tunnel and the bus was getting blown around a lot which was slightly alarming (we survived though!) 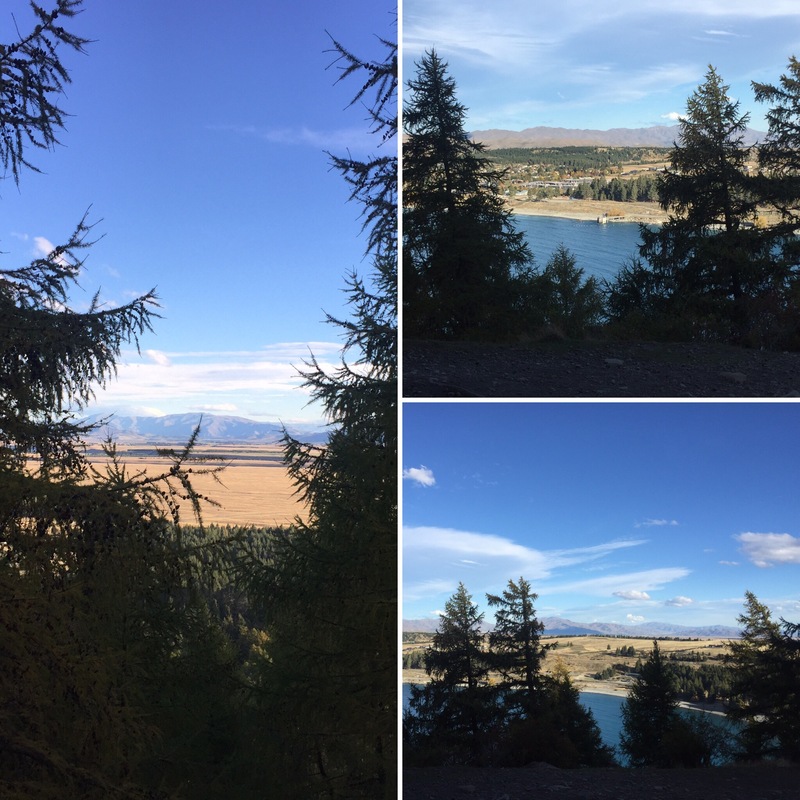 Once we were off the bus we had a couple of hours wait in Twizel. This wasn’t bad at all because the sun came out so, when the wind dropped, it was quite warm and we were able to bask on the sun for a bit. 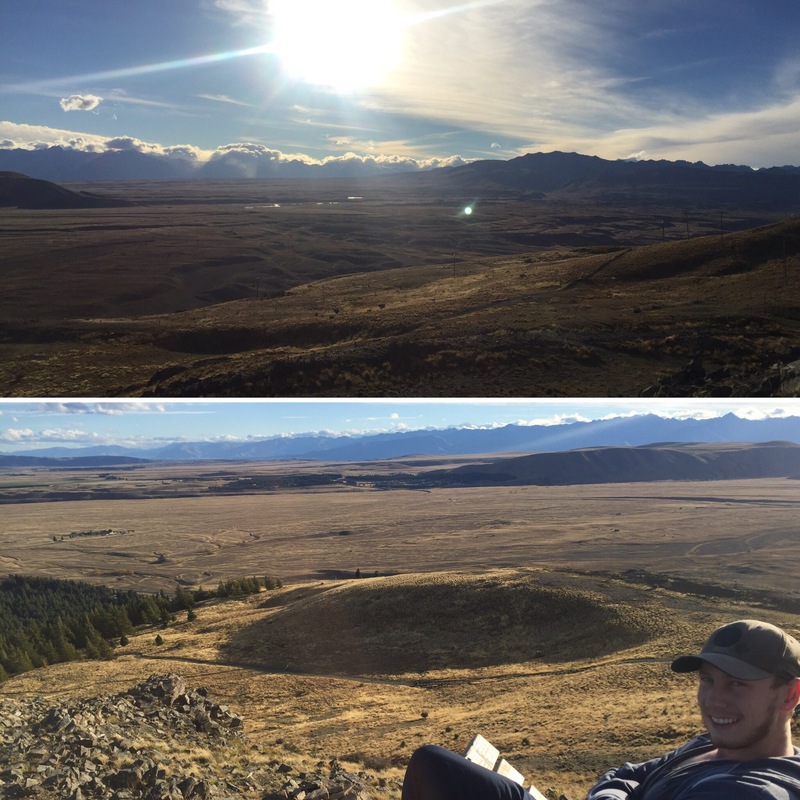 Whilst waiting for the bus in Twizel, a big siren went off in the area. 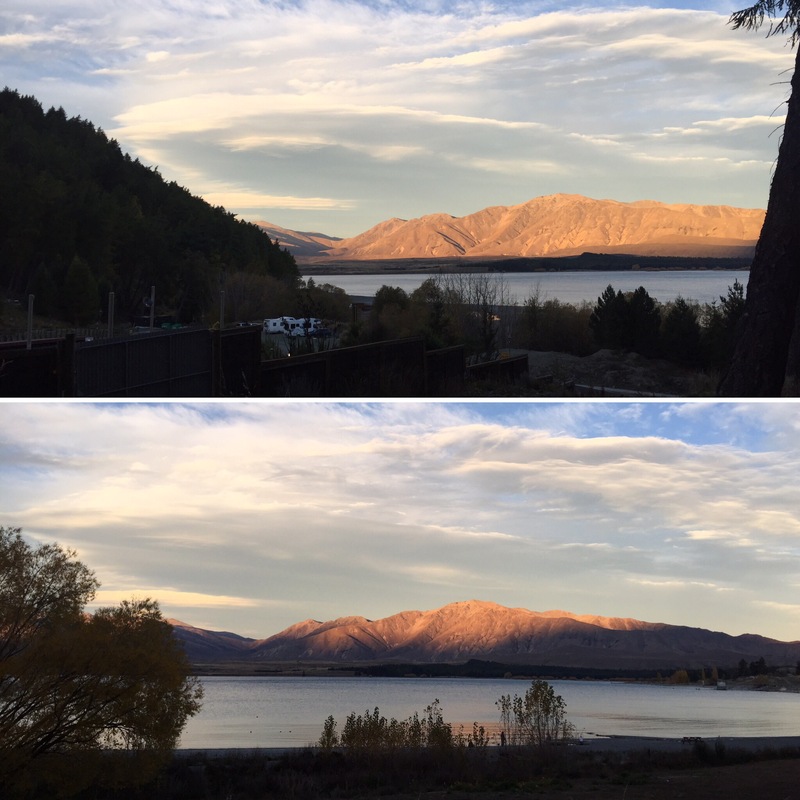 We have heard this in a few places including Wanaka, Franz Josef and Queenstown and I found out that it’s the volunteer fire brigade siren so that all volunteer fire fighters know to get to the fire station immediately to go to work – a very clever idea seeing as they’re very loud. It’s only used in smaller areas where there are only volunteer fire stations instead of a permanent fire service. 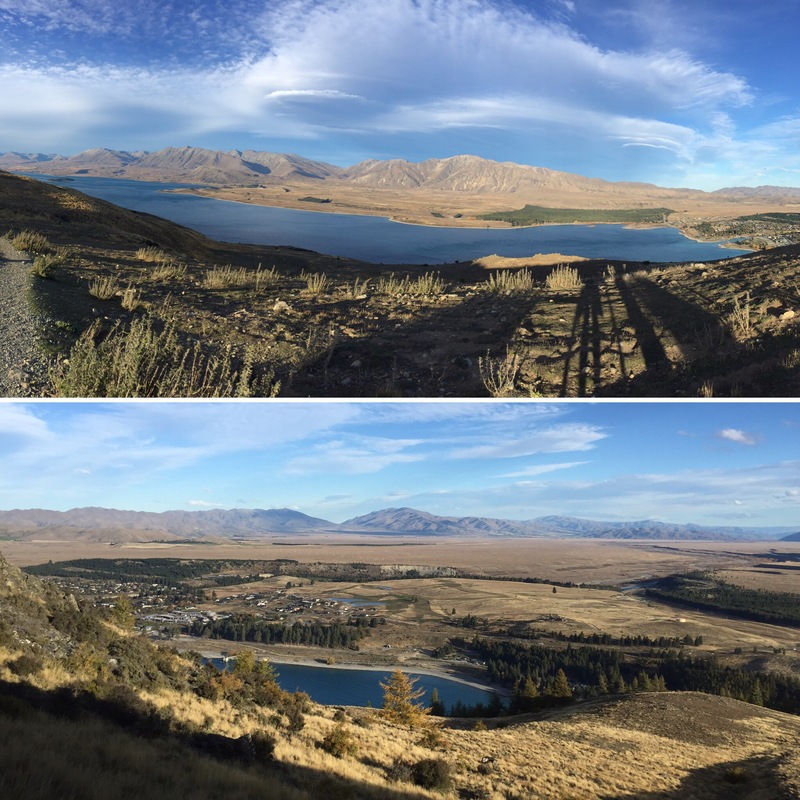 We didn’t have a long journey to Lake Tekapo. 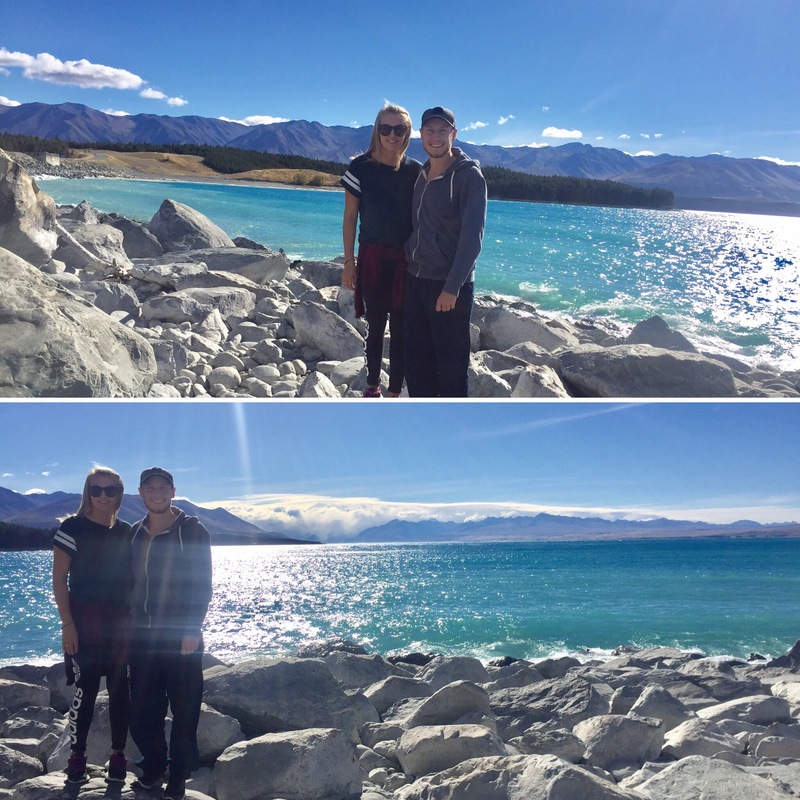 On the way the bus stopped off at Lake Pukaki so we were able to get out and have a proper look at it. 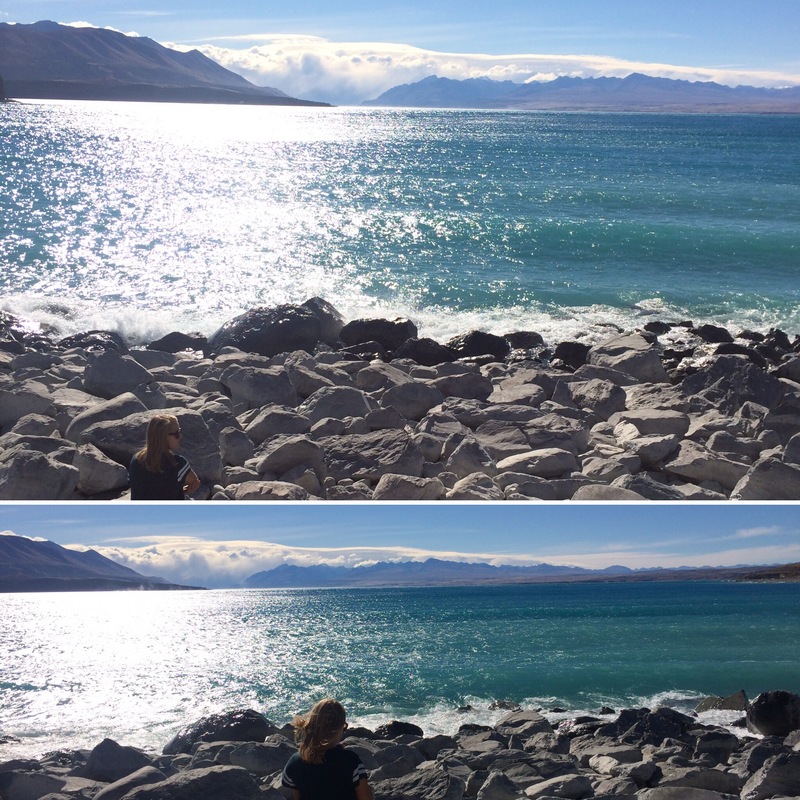 The wind was really strong and the water was quite rough which was a bit of a shame to not see if completely calm like I’ve seen in pictures but it was still very beautiful – the colour of the lake is incredible! 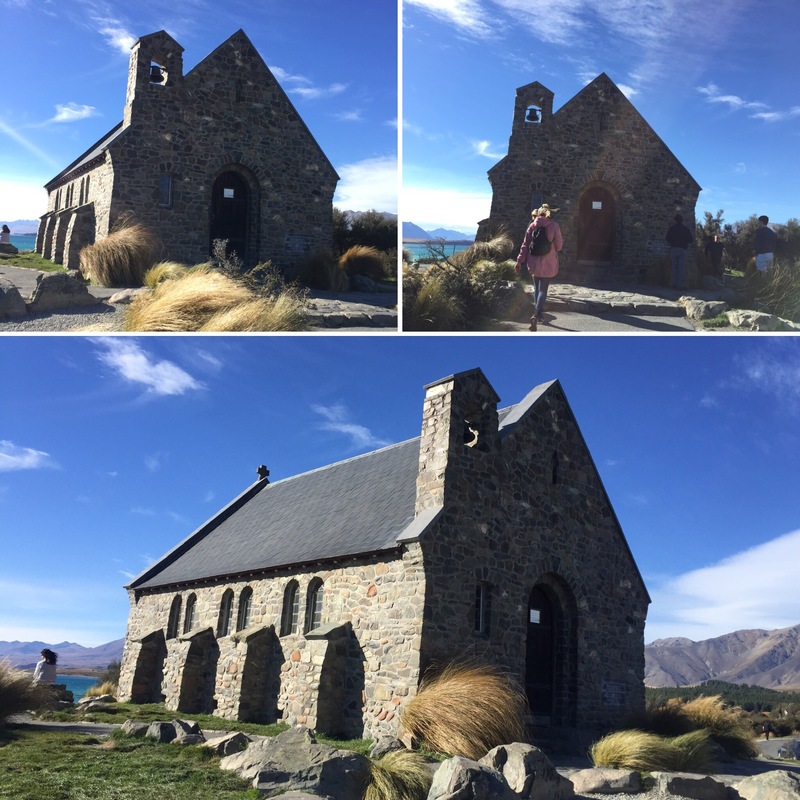 Once we arrived at Lake Tekapo we visited the Church of the Good Shepherd. 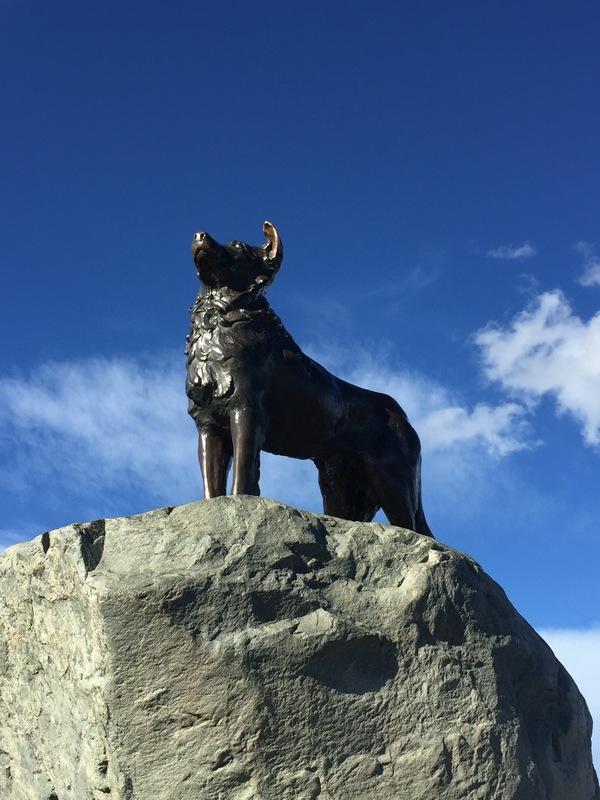 There was a bronze statue here of Mckenzie’s dog – the region is called the McKenzie region so I think he was the founder of the area. 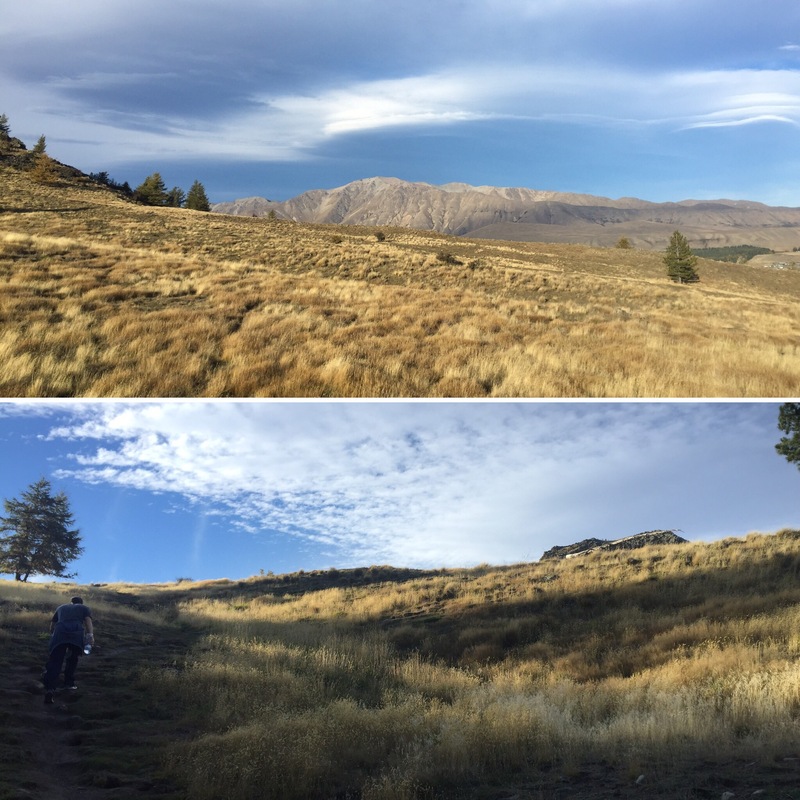 It was incredibly windy so we didn’t look for too long before heading to our accommodation. 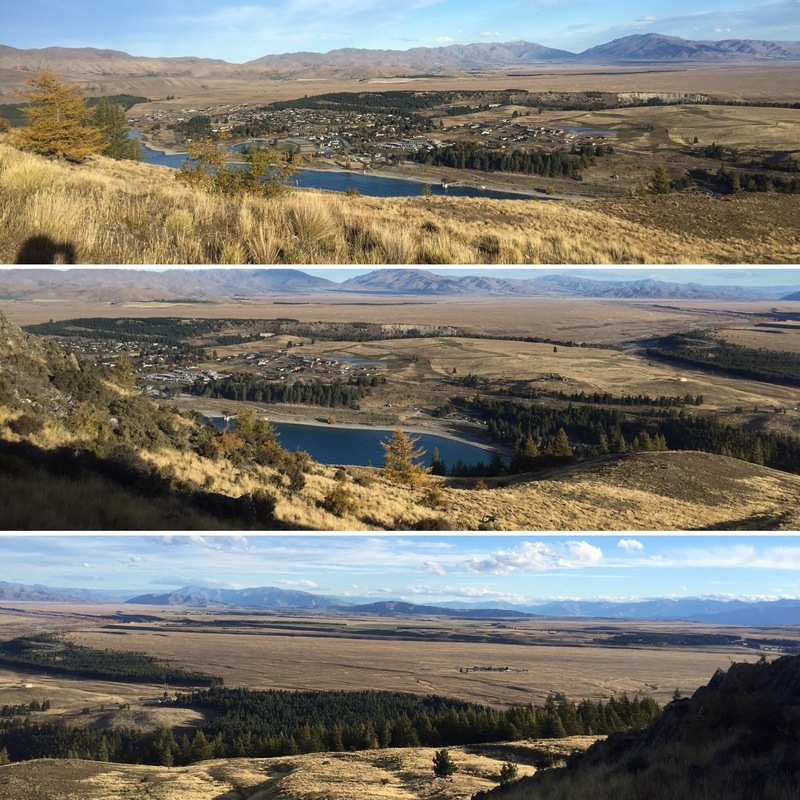 The McKenzie region and Lake Tekapo is known as a dark sky region meaning that they have limits on the light pollution allowed in the area. 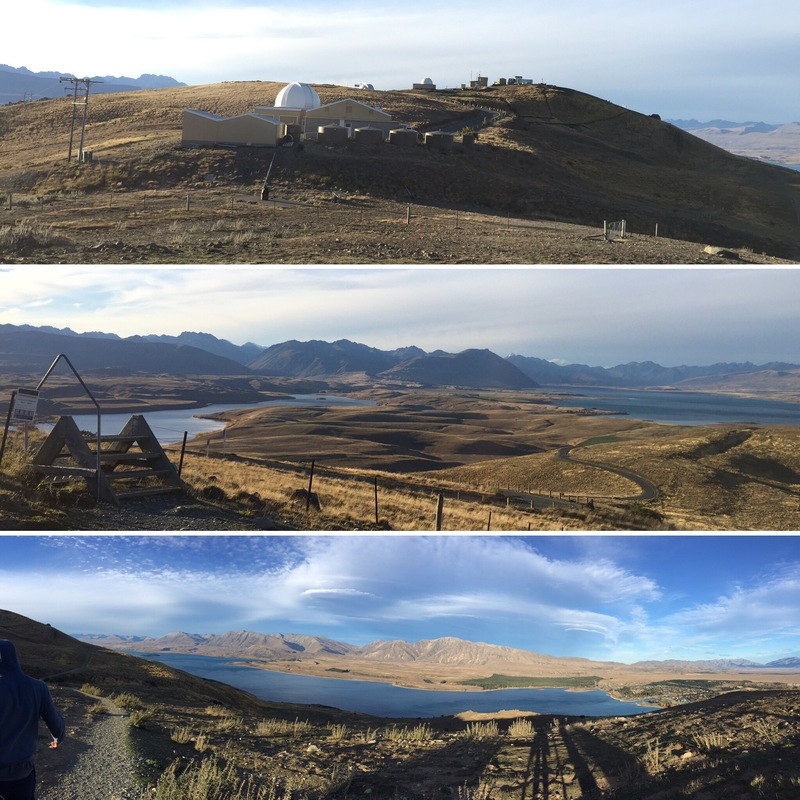 This is the reason we were here, to exploit the dark sky and star gaze – we just had to hope for a clear night sky. 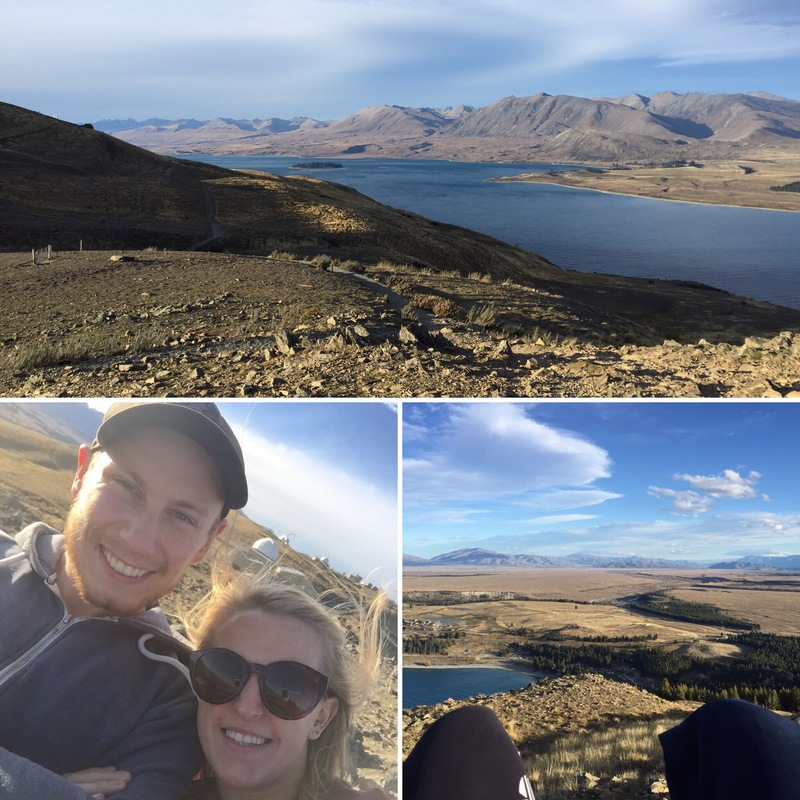 After getting checked in, we walked up Mount John (the main mountain in Lake Tekapo) and got to see the incredible views from the top. It was a really clear day but it was very windy at the top meaning you had to be quite careful when walking around. 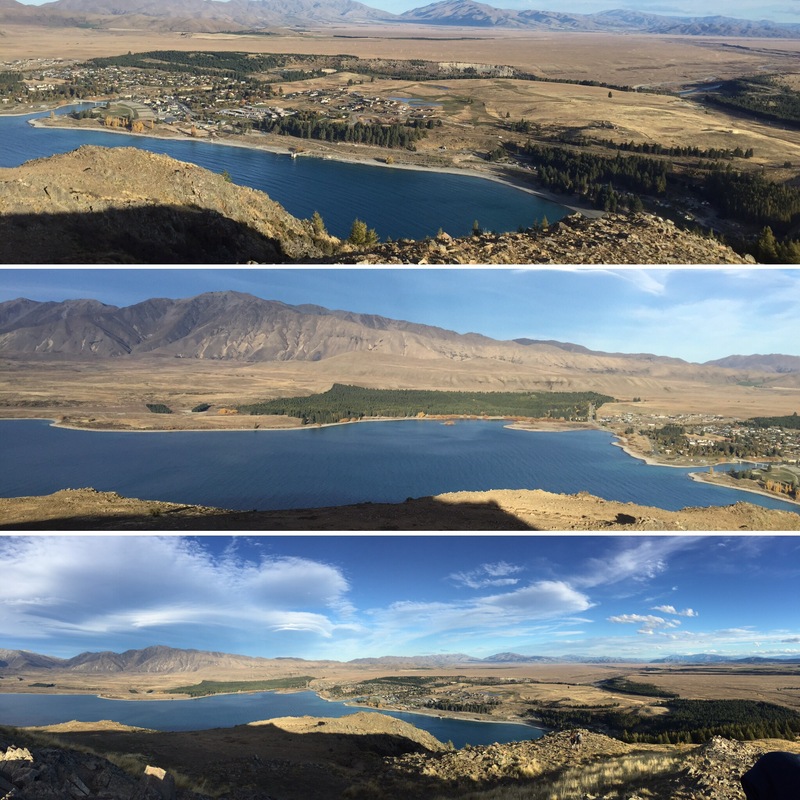 The views showed you how big Lake Tekapo actually was and you could see for miles through the national park. We would be coming up here later on to stargaze so it was good that we had been able to see it during the day too. 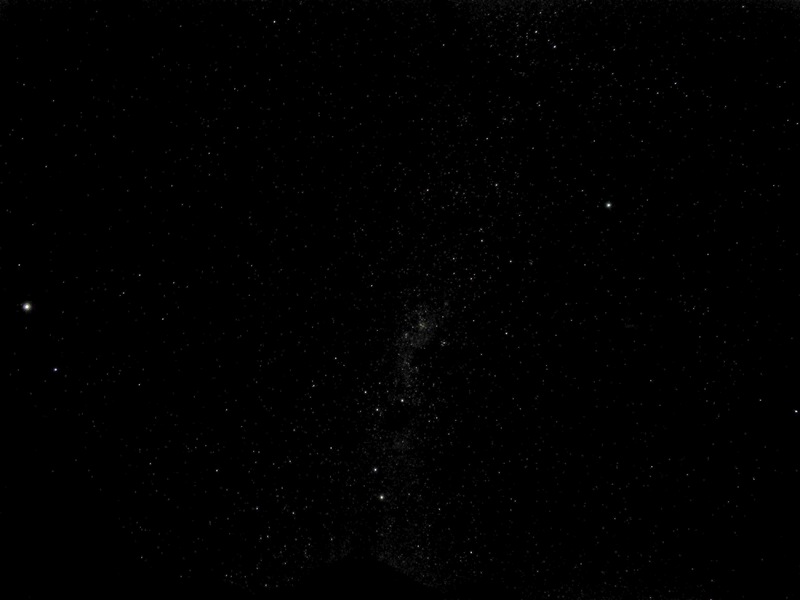 When it was dark we went to the lake front to try and stargaze but there was still too much light coming from the hostel and the hot pools nearby. The hot pools even had disco lights which completely baffled us as the area is meant to have rules about the light used at night! We tried going a bit further up the hill and that was better but could see all the lights from the town or the trees gave us an obstructed view. We needed to exploit the clear sky we had that night so we decided to go to the top of the mountain. 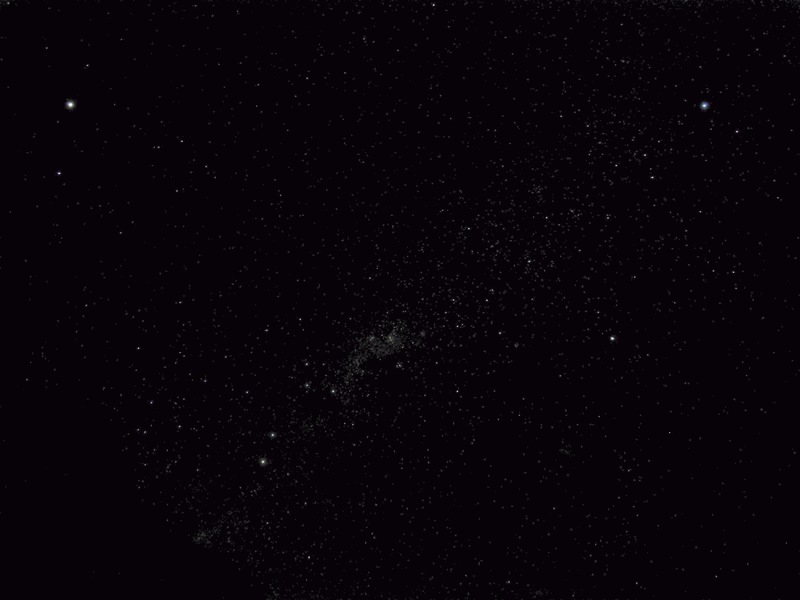 We had loads of layers and a blanket and so lay in a clearing at the top to watch the stars. It was incredible. 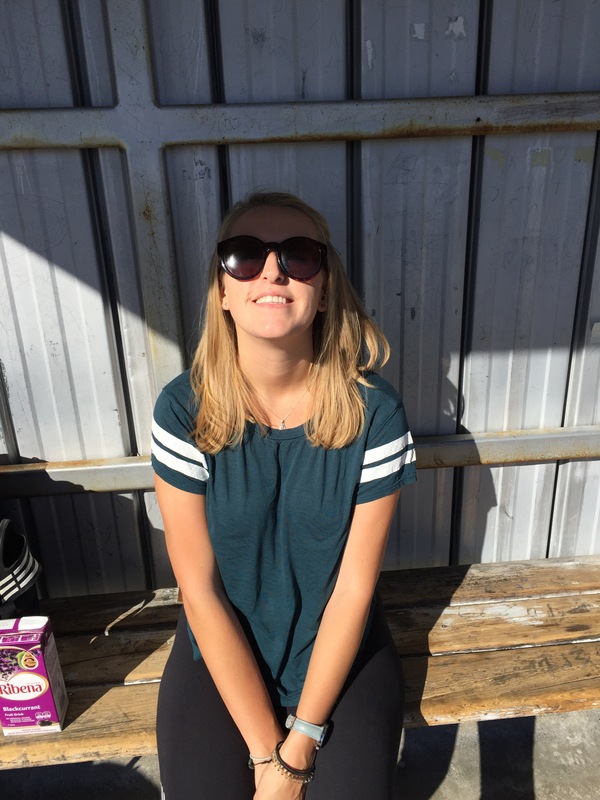 You could see so many constellations and the Milky Way itself. It was definitely one of the best nights skies I’ve ever seen. 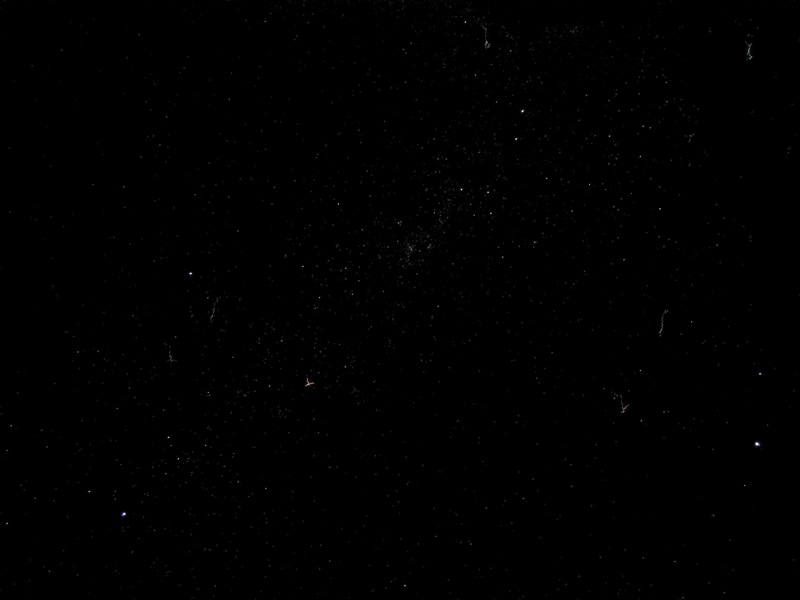 I also saw my first ever shooting star (that I can remember) which I was really excited about. Niall saw loads but I’m really unlucky in spotting them so I’m glad I even saw one. We managed to get some pictures on my GoPro which shows a tiny bit how amazing it was. It was so lovely just looking up at such a beautiful sky for a couple of hours just the two of us as we were the only ones at the top of the mountain. 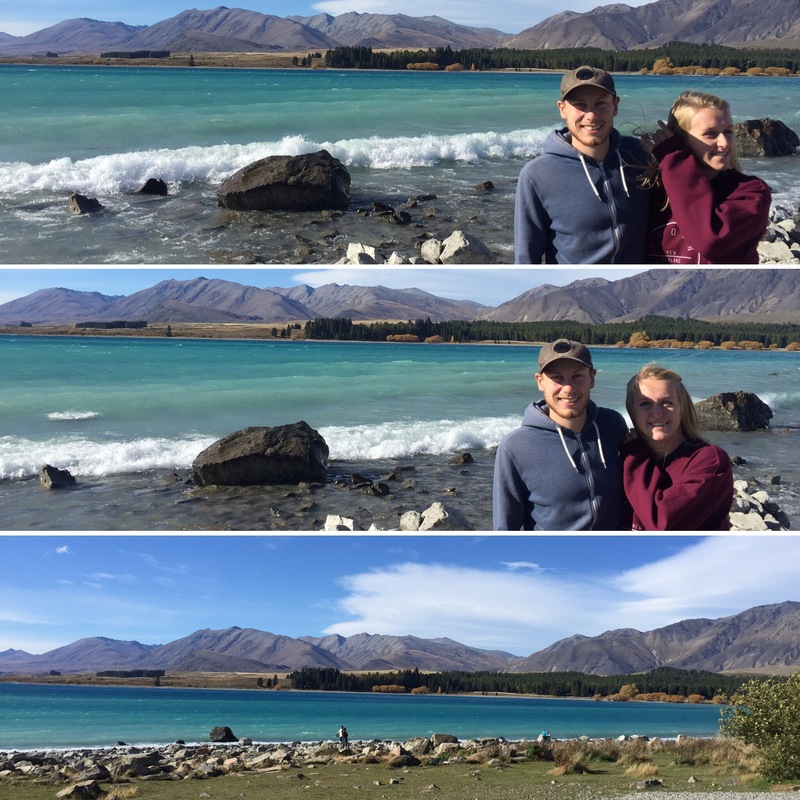 Our stay in Lake Tekapo was short but sweet and we were looking forward to carrying on to Christchurch to meet up with Niall’s sister, Sophie.